This fact-packed guide provides all the practical advice you need for a journey back in time to the golden age of Florence. 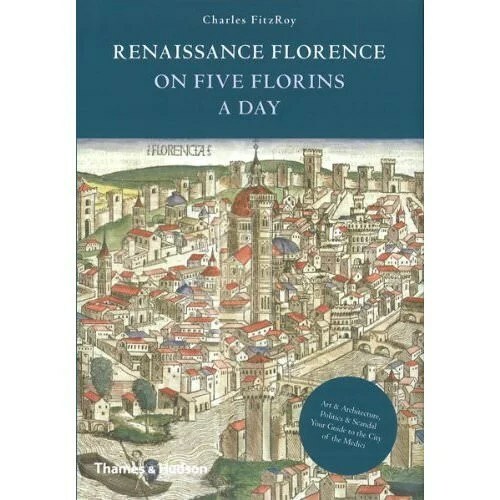 Witty and informative, Renaissance Florence on Five Florins a Day will appeal to travellers, museum-goers and anyone who wonders what it would really have been like to visit this model of Renaissance culture. Take in the sights and sounds, marvel at Brunelleschi’s sublime cathedral dome, wonder at the sculptures and paintings that have made this the art capital of its day, and lose yourself in the thrilling (and often riotous) local feasts and festivals. Learn the secrets of Florence’s legendary wealth, and discover what happens behind the closed doors of those grand palazzi. 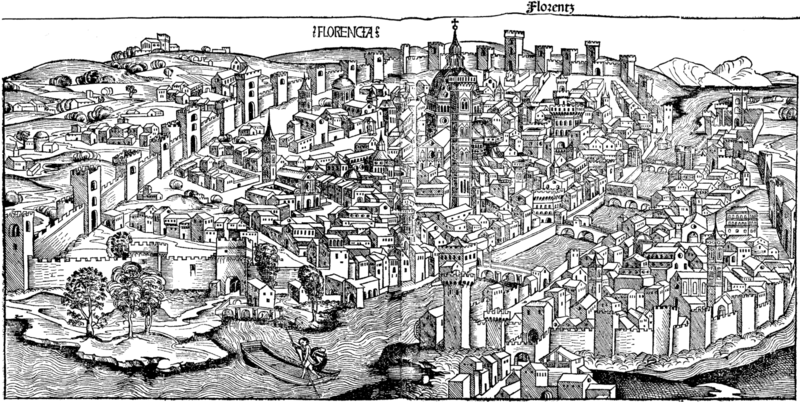 Along the way, you will delve into the lives of the rich and famous – with plenty of anecdotes and first-hand quotes from the period – the Medici and the other important families in Florence, the up-and-coming artists Michelangelo and Leonardo, and the humanist philosophers battling the Church. Here, too, is the darker side of life in the city, from its taverns and brothels to the grisly punishments meted out to wrongdoers and the rabble-rousing of Savonarola. Also included is invaluable advice if you’re planning to travel around Tuscany, whether to explore the beautiful countryside outside Florence or the stunning cities of Pisa, Siena, Arezzo and Cortona – including how to recognize and avoid bandits, mercenaries and condottieri.